A free spirit with a strong sense of accountability. She sees the big picture in a small town. Kathy graduated with a BS in Marketing from the University of Connecticut and moved to the area in 1991. 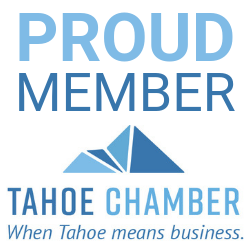 Deeply connected to Reno/Tahoe, Kathy loves the area for its familiarity. As an entrepreneur, Kathy builds on those relationships. She understands that being part of a community means being responsible for that community. Kathy’s dedication to her community can be traced to JFK’s famous phrase: “Ask not what your Country can do for you, ask what you can do for your Country.” She clearly has adapted this principle to both her personal and professional endeavors. This translates into her strong support of local merchants, her time volunteering, and the love for her family and friends. Embodying her own, unique design for living, this lady has the chemistry to sell the creative and live life on her own terms. She has been empowered through her most challenging circumstances.